Simple Session 18 is held at Saku Arena, the best multi-purpose event hall in Tallinn and Estonia. The hall is equipped with state-of-the-art technology for sound and broadcasts. The address of Saku Arena is Paldiski mnt 104b and the closest bus stop is “Haabersti”. Buses you can take from the city centre to the venue are: 22, 42, 43 and 46. For Tallinn transport map and schedule GO HERE (example schedule for bus no. 42). Taxify mobile application is free to download for all smartphone users and it works on Android and iOS phones. Requires registration. Pay cash or card – select option with order. Users can choose a taxi based on arrival time, price list, car model and user feedback ratings. After confirming the order, user can see taxi arriving on map in real time. Use the Uber app like wherever – Android and iOS. Create your account using a credit card or PayPal, and your fare will be charged automatically at the end of your ride. After your trip, they’ll email you a receipt. Here are some general taxi numbers (they also might have mini vans – just ask!) Pay cash or card. Lennart Meri Tallinn International Airport is located only 4km from the city centre. Depending on the traffic, a taxi drive from the airport to a downtown hotel can take as little as 10 minutes and not cost under 10 Euros. The easiest would be to just take a taxi from the taxi park just in front of the Airport. You can also use this pre-booking Airport shuttle service (5 Euros per face to anywhere in Tallinn). To get to the city center (where the official partner hotels are located) via public transport, there are several options. The best way to get to and from the Radisson Park Inn Hotel would be use the newly constructed tramway line no. 4 that will drop you off right in the heart of the city and just steps away from the hotel (“Lennujaam” to “Hobujaama” stop). You can also take the bus no. 2 just in front of the Airport exit and get off on the 5th stop (“A. Laikmaa” stop). Then there’s 5-10min walk to our host hotels. Participating riders and accredited press members will have the luxury of regular shuttle transport from the hotels to the venue several times a day (look for times at the hotels and in the info booklet). – Ticketmaster (Finland) COMING SOON! – Simple Session 18 tickets are available through Piletilevi worldwide! – A service fee of 0,5€ per ticket will be applied to all purchases made through the Piletilevi online shop. – A service fee of 0,9€ per ticket will be applied to all the event tickets at Saku Arena. – Children up to 6 years old (including) are free of charge. * VIP PASS gives you priority access to the festival and to the backstage riders area and lounge/stage as well as VIP access to all four Simple Session pre- and afterparties throughout Thursday until Sunday 01.–04.02.2018. VIP Pass also gives you access to enjoy Simple Session practice Sessions on Thursday and Friday 01.-02.02.2018. You will receive a Simple Session gift bag as well. There are a limited number of VIP Passes available. HERE YOU CAN FIND SPECIAL DEALS ON STAYING IN TOWN FOR SIMPLE SESSION 18. 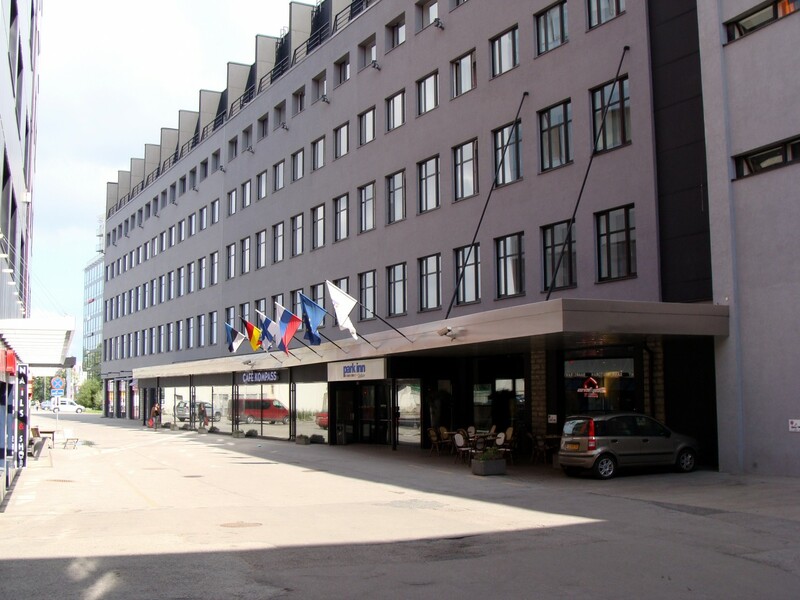 MOST HOTELS ARE CONVENIENTLY LOCATED WITHIN THE CENTRE OF TALLINN. Booked out? 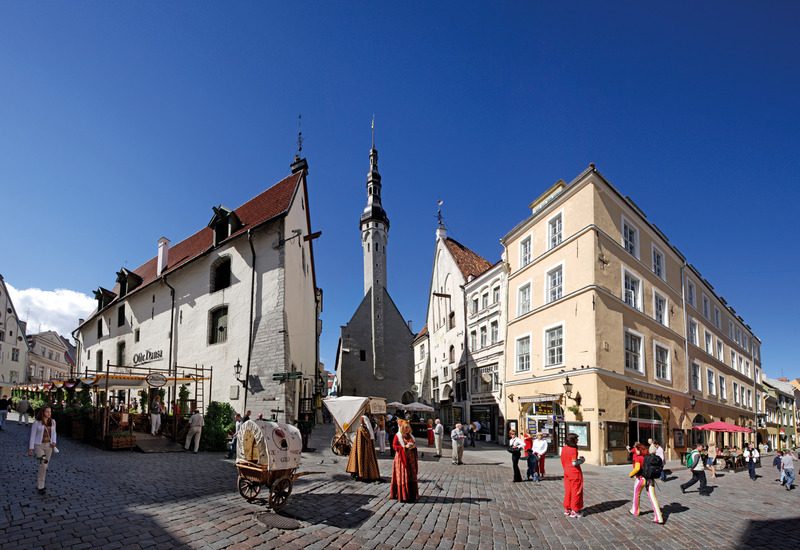 Find other hotels, hostels and accommodation possibilities in Tallinn. 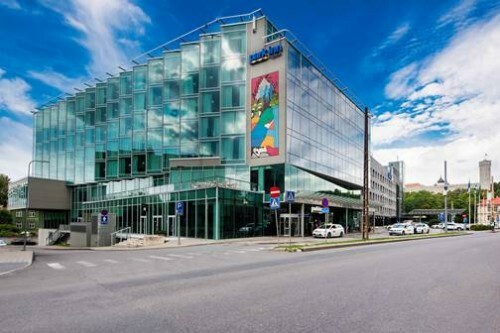 Simple Session guests are offered a special rate in two Park Inn by Radisson hotels in Tallinn. To book rooms with the special guest fare, use THIS LINK. Room rates include free wifi, VAT. Superior room rate includes breakfast buffet. The stylish hotel is located only few steps from the beautiful Old Town and shopping districts. Hotel provides 245 rooms, including spacious renovated Guest Room Premium and Superior rooms. Free WIFI is provided throughout the hotel. 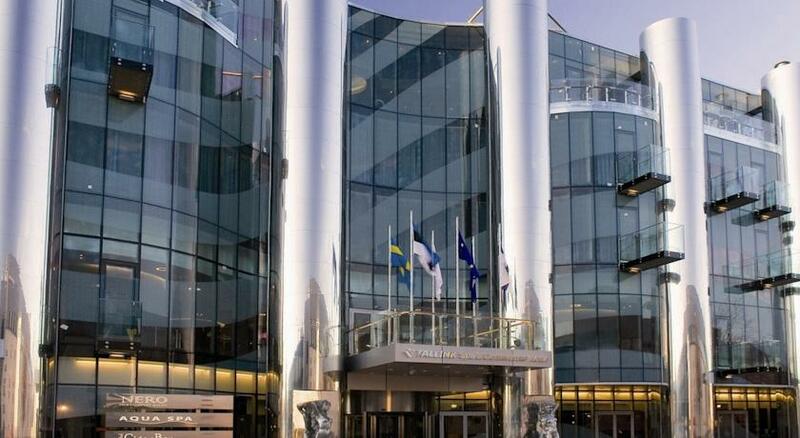 Located in the heart of Tallinn, this modern hotel offers easy access to Old Town and the Parliament of Estonia. Guests stay only a short distance from many city centre attractions, including shopping, theatres and restaurants. Stylish and contemporary, the hotel welcomes guests with 465 tastefully decorated rooms that include mini bars, tea and coffee provisions and air conditioning. 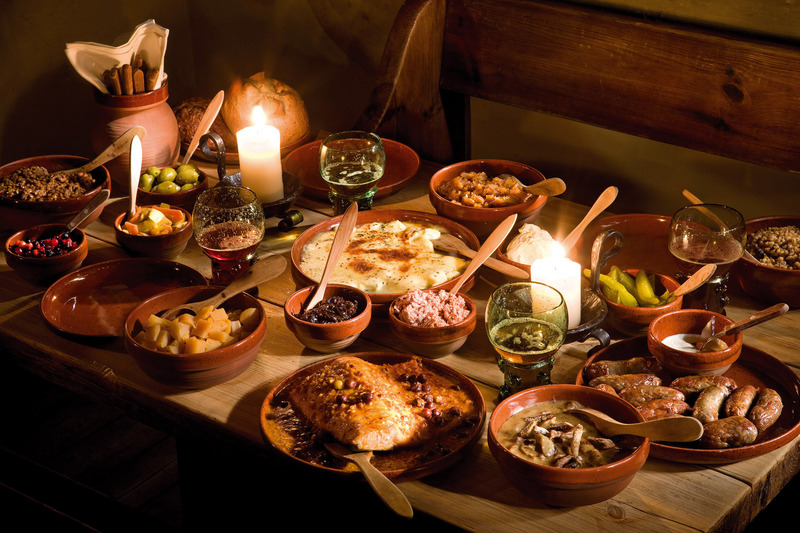 Dine on site at a restaurant serving grilled specialities and relax at the pastry shop or 2 bars. Guests also enjoy Free Wireless High-speed Internet, convenient outdoor and garage parking, extensive spa and sauna areas and a Sports Club with personal trainers available. Simple Session guests are offered a special rate in three Tallink Hotels in Tallinn (31.01-05.02.2018). Standard single/double room -15% from online rate! Located in the heart of Tallinn, in close proximity to shopping centres and within just a few minutes’ walk from the marvellous Old Town. The Hotel has 332 comfortably furnished rooms, including 257 Standard rooms, 25 Business Class rooms, 34 Double de Luxe rooms, 7 Junior Suites, 6 Suites and 3 Royal Suites. All rooms offer air conditioning, free Internet connection, TV (including satellite channels), telephone, safe, mini bar and a shower or bath. Children under 13 years of age stay free of charge in a room together with parents. Opened in March 2007, the Tallink Spa & Conference Hotel in Tallinn’s city centre has a luxurious Aqua Spa aquatic centre, wide selection of services and products in the beauty centre Hera Salongid, a la carte restaurant Nero that has belonged to the TOP 50 best restaurants in Estonia since it opened, original and cozy cigar bar Fidel, and a contemporary lobby bar. The Hotel offers 275 contemporary and unique hotel rooms, including 242 standard rooms for two and 9 standard rooms for one, 20 Double de Luxe rooms and 4 suites. All rooms are furnished with a view towards style, comfort and safety. 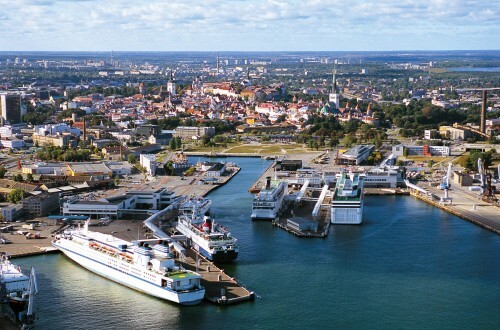 Tallink Express Hotel is located only a 10-minute walk from the marvellous Old Town, just steps away from the passenger port. The Hotel offers 163 comfortable rooms, restaurant Tempo, free Wi-Fi throughout, a conference room, a business corner, large car park, and even a children’s play area. 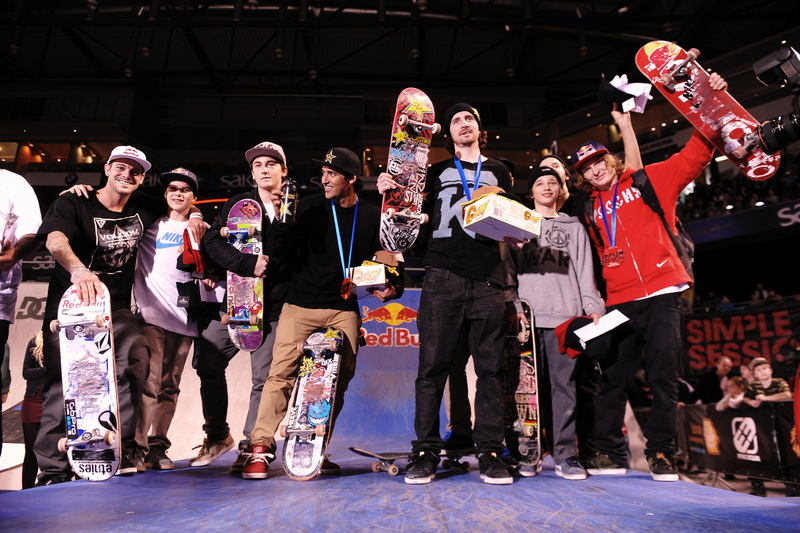 Find official Simple Session press announcements, contest results etc HERE. Please find a selection of press photos from the previous Simple Session events on our FLICKR. The photos are royalty free, when used to accompany Simple Session coverage. Please do not forget to credit the respective photographers, who’s names are given in the descriptions of the photos / galleries. Press accreditation for Simple Session 18 is open until January 8th 2018. You will receive your answer by January 20th 2018. Late requests will not be accepted. – photographers will receive a PHOTO access badge (instead of PRESS badge) and will be allowed on the contest course during Training Day and Qualifications*. *Due to limited space and security, access to the contest course during the Finals is reserved to official STAFF photographers and LIVE broadcasters, with only a select few extra spots filled upon request. 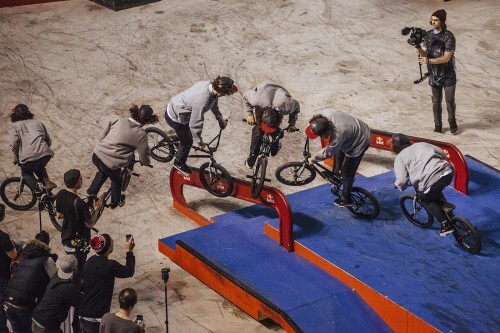 However, there are spots around the course during the Finals, from where it is possible to take photos and film video, as well as anywhere across the arena. The press credential serves the purpose of covering Simple Session contest and events. The organisers reserve the right to make a selection of the applicants. Simple Session press accreditation fee is 30 € and will be paid upon registration (invoice or cash) at the venue. Accreditation fee does not apply for official media partners and press delegates with prior arrangements with the event organisers. The Republic of Estonia will celebrate its 100th anniversary on February 24, 2018. This year, one hundred years will have passed from the proclamation of Estonia as an independent, democratic republic. The centenary is a celebration for everyone and the perfect opportunity for us to join our efforts towards building a better future together. The focus of Estonia 100 is on children and youth and the Estonia 100 centenary festivities and events go on from April 2017 to February 2020. The aim of the Estonia 100 and Estonian Presidency international programme is to combine efforts to raise Estonia’s profile globally. The programme will provide support to more than 150 cultural, educational, research and technological events in 2017 and 2018. Undoubtedly one of the greatest events will be World Cleanup Day on September 15, 2018, which will be a gift from Estonians to the world. Estonia will also be promoted in the public space of a number of European cities with a ‘Digital Street Art’ creative solution, combining graffiti, history and digital technology. Events abroad that will draw attention to Estonia in 2017 or 2018 can still be added to the programme. Simple Session 2018 is also a part of the Estonia 100 programme. 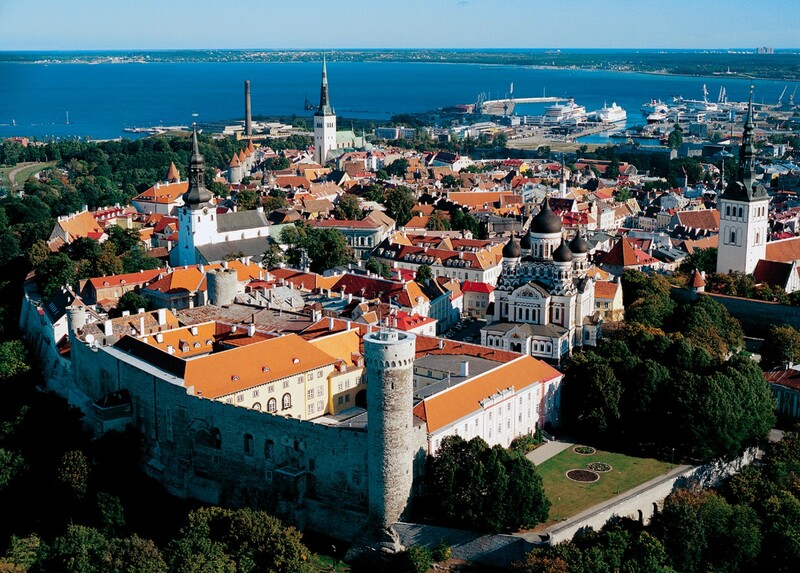 Tallinn sits on the southern shore of the Gulf of Finland, just 83 km south of Helsinki. A ferry trip between the cities takes 2 hours or less. The city shares a nearly identical geographical latitude with Stockholm and the Alaskan capital, Juneau. During Estonia’s White Nights in June the sky here stays bright from 4 am until around 11 pm. This is a green city, proudly boasting 40km2 of parks and forests with a 2km stretch of sand beach bordering its bay. Tallinn is a popular cruise ship destination, with more than 300 ships making the call here each year. Thanks to its small size and compact layout, Tallinn is extremely easy to get around. The heart of Tallinn is its Medieval Old Town, a fairytale neighborhood of gabled houses, Gothic spires and cobblestone streets that dates in the 13th – 16th centuries, the days when this was a thriving, Hanseatic trade centre. But as much as Tallinners pride themselves on their city’s Medieval heritage, it’s the modern side of city life that tends to grab international headlines. 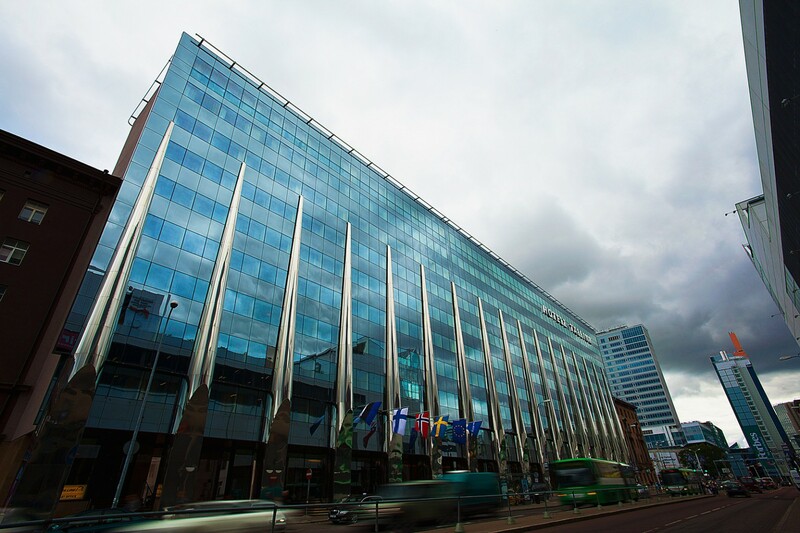 Not only is Tallinn ranked among the Europe’s most technology-oriented cities, leading the way in everything from free public Wi-Fi to e-government, it also has a dynamic business community eager to engage in new areas. The city has over 360 public Wi-Fi areas and over 700 public Internet access points, nearly all of which are free. 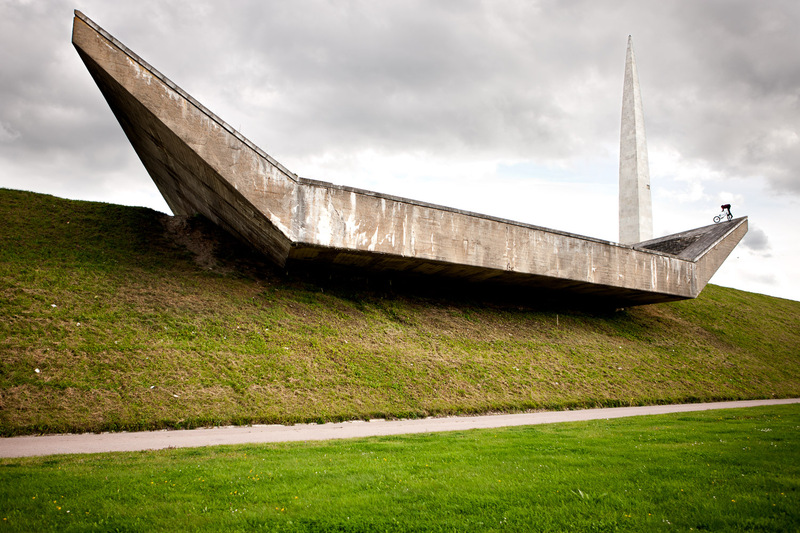 The legacy of the anti-aesthetic Soviet era is that the pretty old Tallinn is ringed by newer sections of town, in many places dominated by brutal Stalinist architecture. 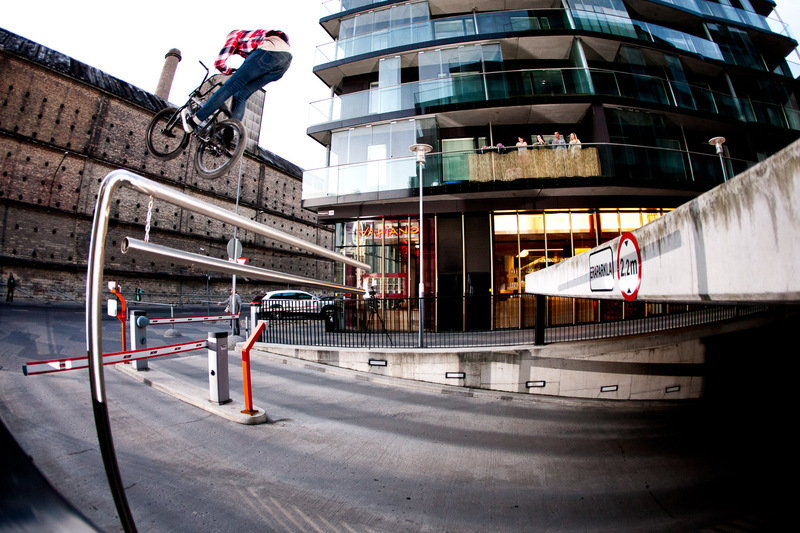 This makes Tallinn an interesting place for street riding – there’s plenty of both new and old spots all over the city. When the weather gets cold, then there’s plenty of things going on indoors in the booming nightlife of Tallinn, Europe’s latest party capital as titled in the New York Times. And it’s all still reasonably priced. There are quite a few nice places where to hang out and party. You can fly direct to Tallinn from most major cities in Europe. Connecting at some of the major airports in Europe you can get to Tallinn from anywhere in the world. Information about airlines, schedules and customs is also available on the homepage of Lennart Meri Tallinn Airport. There are a number of online booking engines that offer flight comparison allowing to choose from different flight options to Tallinn, for example Lastminute.com, Skyscanner and cheapflights.com. Estonia is also easy to reach by car, bus, plane and boat but reaching Estonia by train is only good if you are coming from Russia or Latvia. 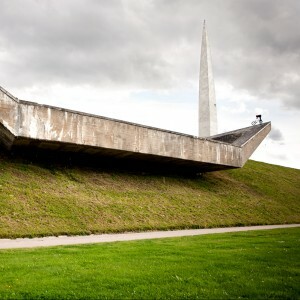 Find more info about how to get to Estonia from Visit Estonia website. 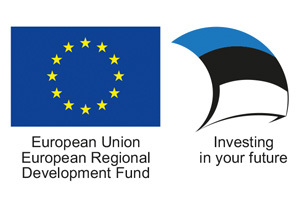 Simple Session’s international activities introducing Tallinn and Estonia as an attractive tourism destination of extreme sports and culture are supported by The European Regional Development Fund (195 300 euros for three events). It’s Simple Session 18 – the world’s premium annual BMX and skateboarding event. 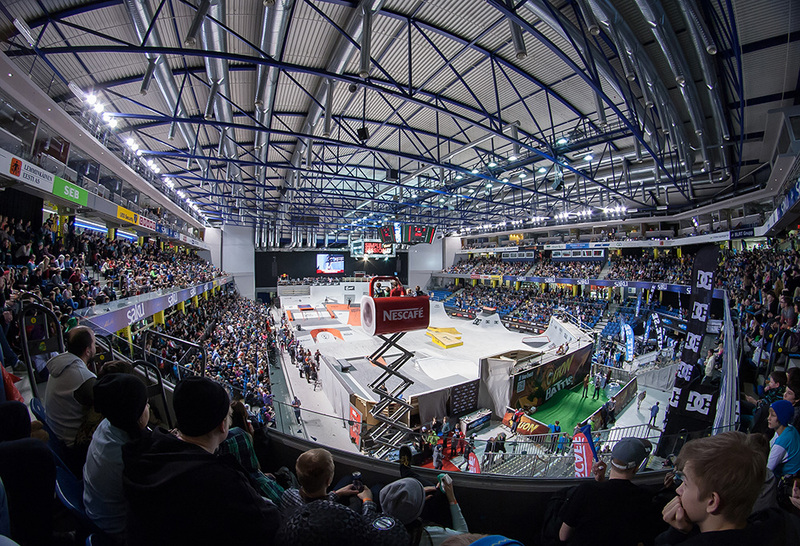 The Simple Session series will hit its 18-year mark when the world-renowned indoor BMX and skate contest takes place on the 3rd and 4th of February, 2018 in Tallinn, Estonia. The new edition will be held in cozy Saku Arena, the place that everyone has come to love through the series. 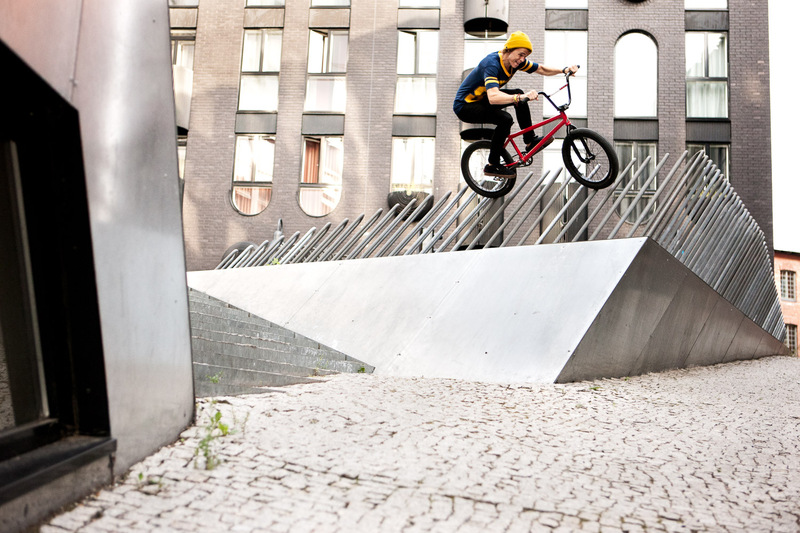 Simple Session pits the globe’s best BMX riders and skateboarders against each other in what has become the contest to watch for the biggest and most progressive riding anywhere. 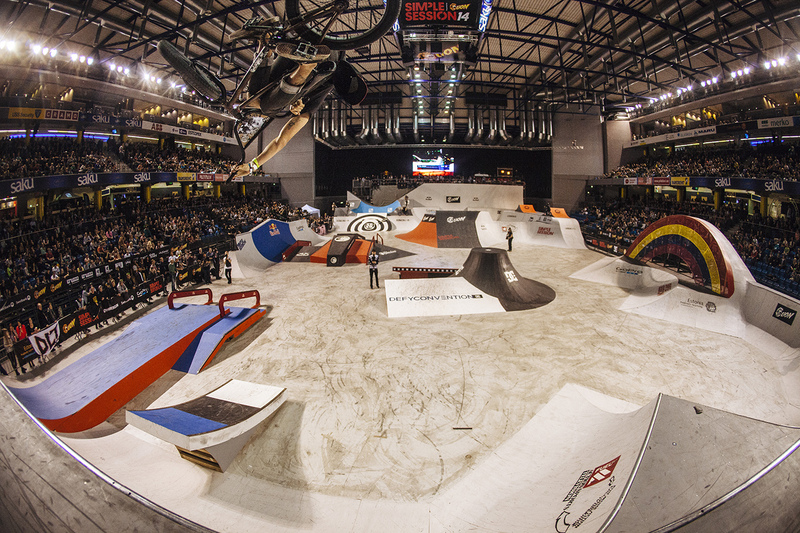 The brand new course that will be revealed shortly is once again a brilliant venue for riders to show off their newest show-stopping tricks. 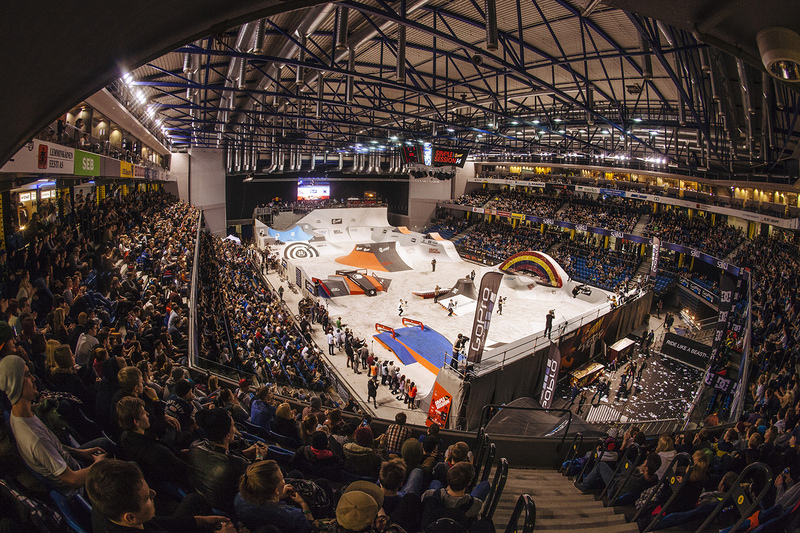 Estonia’s Simple Session is a fixed star on the global skate and BMX contest circuit: once just a local competition, it has become one of the most prestigious BMX and skate events worldwide. 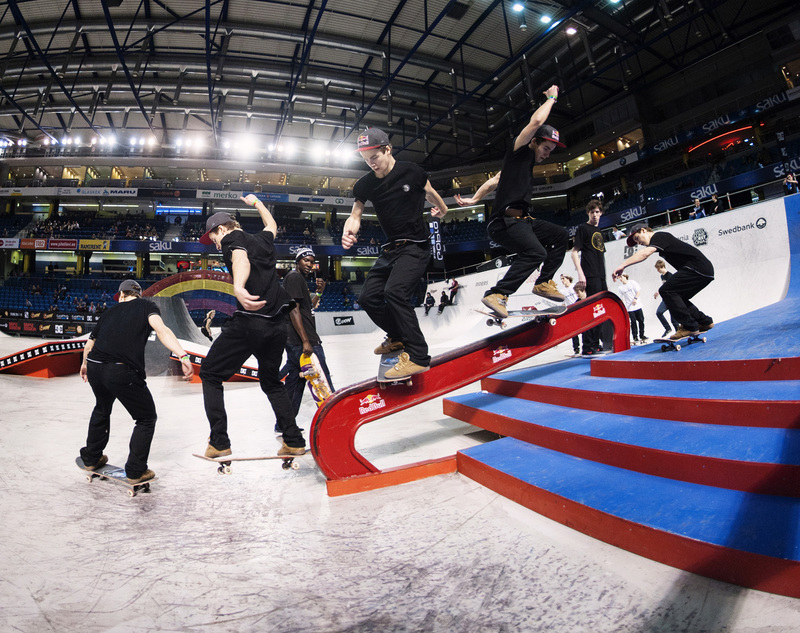 Simple Session 18 is part of the world championships in skateboarding World Cup Skateboarding. With a brand new and huge contest course that never fails to impress, laid-back vibe, massive media coverage and biggest names in the business it has become one giant party that keeps on trying to stand for everything that is real about BMX and skateboarding. 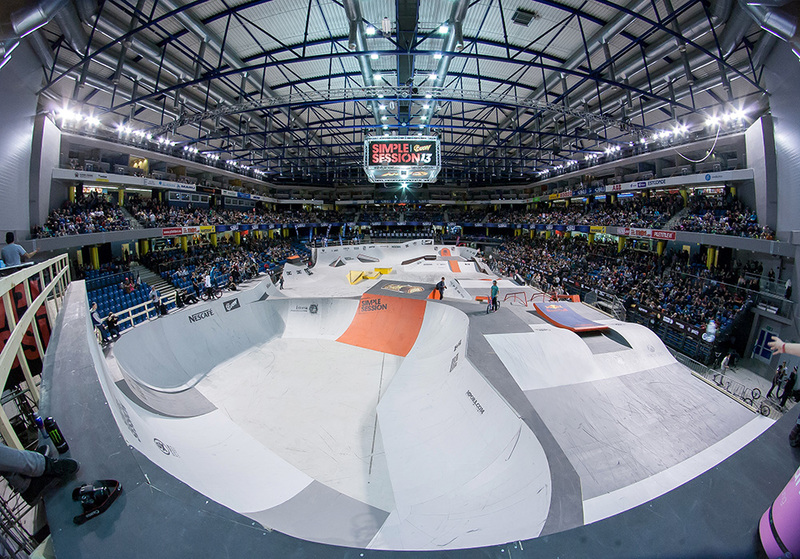 The contests will again be held in pro BMX street/park and pro skateboarding street/park, and the event is expecting athletes from 30+ countries worldwide, making it one of the most international action sports events out there. Over the years, Simple Session has hosted most of the top BMX and skateboard athletes of the world. Each year the line-up tops the previous and this year some of the most unbelievable riding is about to happen, firing up the biggest BMX and skateboarding party of the year. The electrifying contest will be followed by non-stop after-parties and make up one unforgettable festival experience. 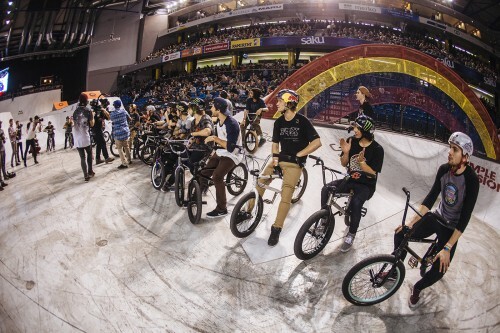 The usual four-day trip would be filled with cozy hangouts in hotel rooms and lobbies, taking crazy crowded bus trips to the venue, flooding restaurants with huge gangs of riders, trying to ride snow humps on the streets, performing for thousands of spectators on the massive contest course, making new friends and later going cray at the wild Simple Session parties.